4 or more player and 2 balls. 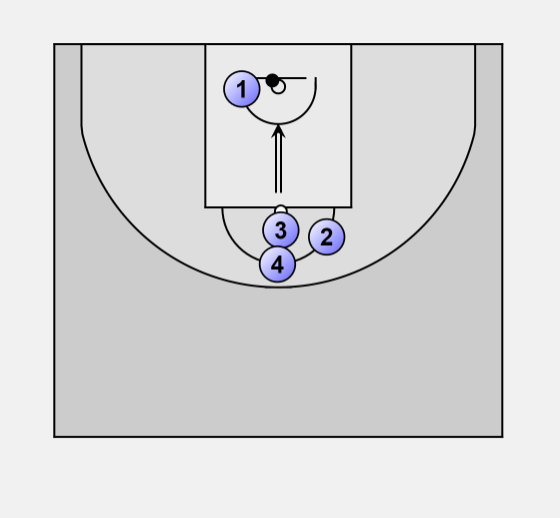 This drill starts with the players behind the free throw line. Player 1 takes his/her shot. 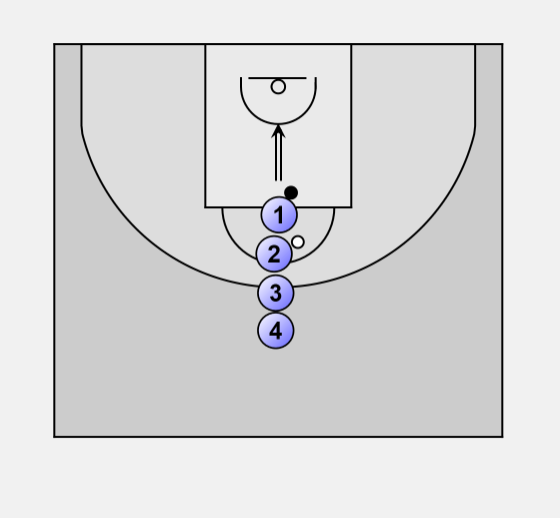 He/she is only allowed to rebound after the ball has touched the rim. In this case player 1 misses and goes for the ball. Player 1 takes the rebound and takes another shot. At about the same time player 2 takes a free throw. 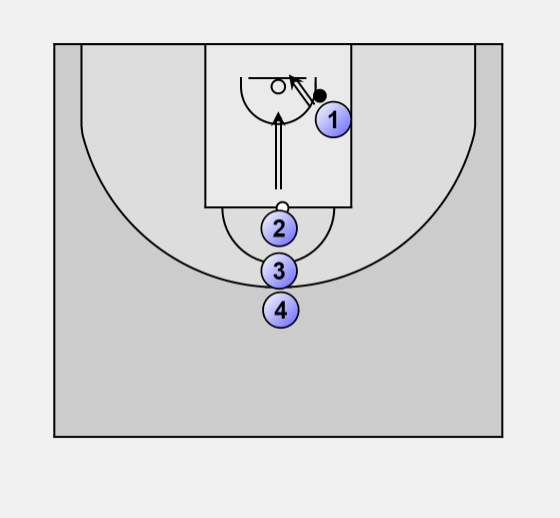 If the ball of player 2 goes through the net before player 1 scores player 1 is out and has to sit out the rest of the drill. In this case player 1 misses again and player 2 scores. Player 1 is out. 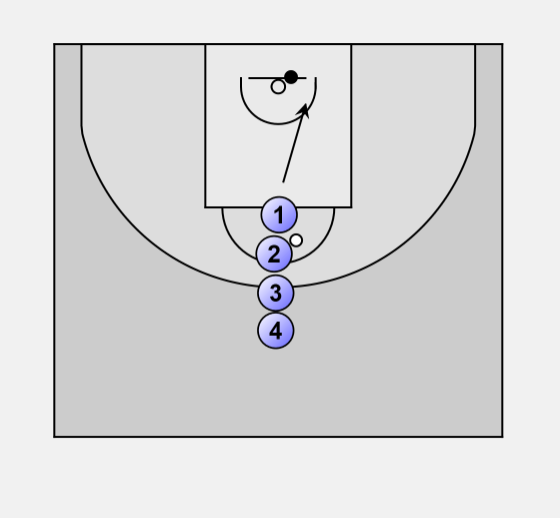 Player 2 rebounds the ball and after giving a pass to 3 or 4. He/she goes behind the group waiting to take another free throw. 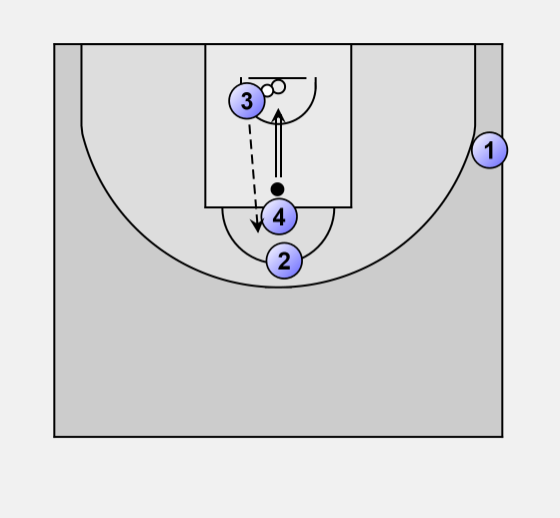 Player 1 finishes by making a basket and passing the ball to player 4 after taking the rebound. Player 3 takes a free throw. As long as a player makes the free throws the drill continues for this player. 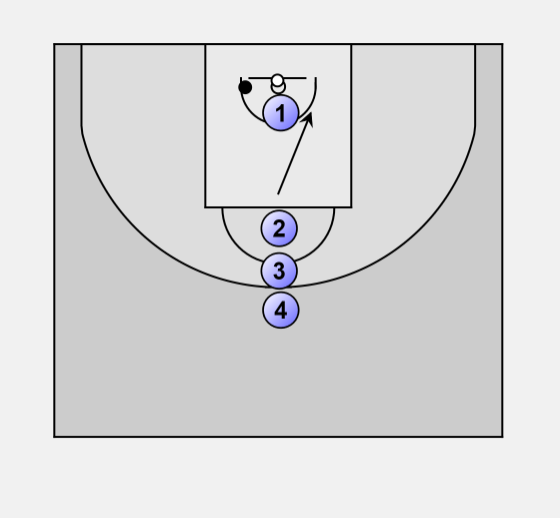 After a miss he/she has to work hard to get a rebound and try to score before the next player hits his/hers free throw or shot, otherwise this player has to sit out the rest of the drill. 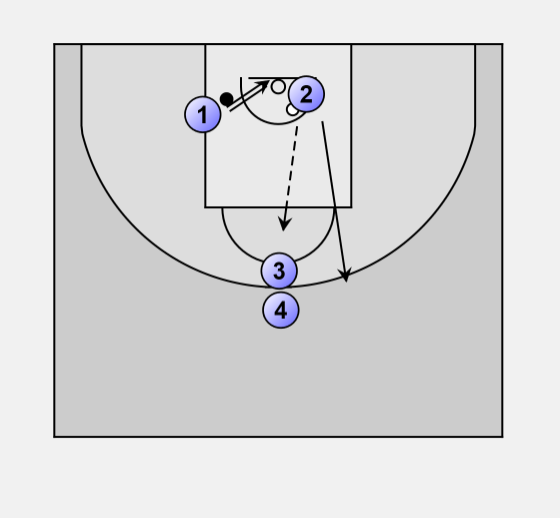 This drill tries to simulate a bit of pressure during a free throw. It can also be played from any other position.